All steam technology derives from the principle that water vapor occupies more space than the liquid water from which it was produced. This is due to the different levels of molecular force that hold together solid, liquid and gaseous substances: The molecular structure of solids is the most dense while that of gases is the most diffuse. This basic law explains why heating water in a closed vessel eventually causes it to explode; the water expands as it vaporizes, which exerts increasing pressure on the vessel. Steam power is produced when the pressure generated by vaporized water is harnessed to perform a task such as rotating a steam turbine. Whereas a basic understanding of the principles of steam power was recorded as early as the first century AD, it wasn’t until the late 17th century that advancements in scientific theory and methodology made it possible to put steam power to practical use. The first steam pump was invented by a British military engineer named Thomas Savery in 1698, as a means of pumping water seepage out of coal mines. It consisted of a boiling chamber that routed hot steam into a second chamber from which a pipe containing a nonreturn valve descended into the water to be removed. Pouring cold water over the steam chamber caused the water vapor inside to condense back into liquid, creating a vacuum in the chamber that sucked the seepage water up through the pipe. The nonreturn valve prevented the water from flowing back down, allowing it to be drained off by an additional pipe. This primitive manually powered device proved impractical, until a blacksmith named Thomas Newcomen improved the design in 1712 by adding a steam-driven piston. In this improved model, the vacuum created by cooling the steam pulled down a piston that, in turn, pulled a chain, activating a pump on the other end of a suspended beam. As the use of this pump spread across England, engineers began to introduce improvements in its design and efficiency. The breakthrough in steam technology is credited to a Scottish instrument maker named James Watt, who invented the first steam engine. Watt’s crucial discovery was that heating and cooling the steam in the same chamber was inefficient and wasteful of time, steam and fuel. Watt’s solution was the separate condenser – a new chamber in which the steam would be cooled to create the necessary vacuum, allowing the piston cylinder to remain the same temperature as the incoming steam. 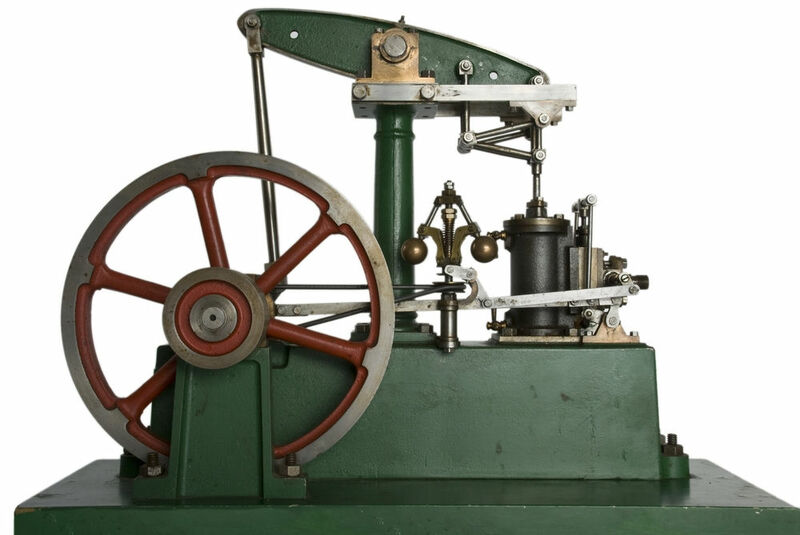 This discovery led to two more important inventions: the double-acting engine, which increased efficiency by harnessing the power of idle steam to push down pistons, and the flyball governor, an automated method of opening and shutting steam valves. By the early 19th century, advances in metallurgy resulted in stronger iron boilers capable of withstanding high-pressure steam, which made the separate condenser unnecessary and could be used to reduce heat loss through compounding – a method by which excess steam from one piston is used to fire a second piston and so on. 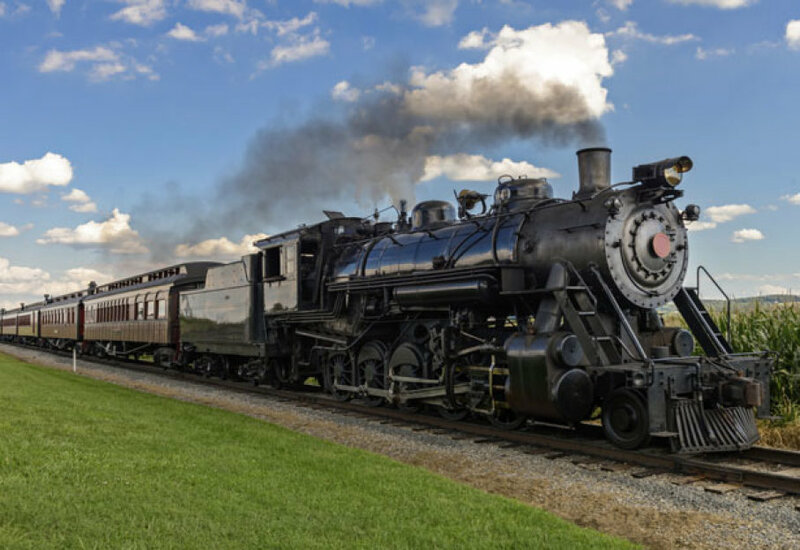 Steam power revolutionized industry as well as transportation, with the invention of the steam locomotive and the steamship. But the most far-reaching application of steam power was the invention of the steam turbine to produce electricity. The principle was to direct compounded steam onto blades attached to the perimeter of a wheel, creating the rotary motion necessary to produce electricity. Although the underlying theory of steam-powered rotation was first formulated by the Alexandrian mathematician Hero in 75 AD, it wasn’t until the late 19th century that steel was produced that was strong enough to withstand the required 18,000 revolutions per minute. The first steam-powered electric generator was installed in 1890, and the steam turbine remains a major factor in electricity production to this day, whether powered by fossil fuels, solar radiation or nuclear fission. More than 88 percent of all electricity in the United States is produced by steam turbines. What are Steam Power Plant Accessories? A steam power plant generates electricity from fuels such as oil, natural gas or coal. The basic accessories of a power plant consist of a turbine, a boiler a condenser and a pump. Fuel is burned in the boiler and this heats the water to produce steam. This steam is then heated in a superheater to produce steam that rotates the turbine. The turbine then produces power for the generator which then generates electricity. The generator windings rotate in a strong magnetic field and this process produces electrical energy. When the steam leaves the turbine it enters the condenser that cools the steam and condenses it into liquid. Then the pump pressurizes the liquid and sends it back to the boiler. Accessories to the boiler include a safety valve that relieves pressure and prevents the boiler from exploding. There are also water level indicators. These accurately show the person operating the boiler the exact level of fluid which is in the boiler at any given time. This is also known as a sight glass. A water column or water gauge also indicates the water level in the boiler. Another boiler accessory is the bottom blowdown valve. This valve is generally located on the bottom of the boiler. It can be opened when necessary and it uses the boiler pressure to push out solid particles, called particulates. The particulates condense and sink to the bottom of the boiler. There is another valve called the continuous blowdown valve. It continuously enables a small amount of water to escape. This prevents the water in the boiler from being saturated with dissolved salts. If this were to happen, it would cause priming. Priming means that the boiler would foam and cause droplets to form along with the steam. The blowdown valve monitors the chemical properties of the water in the boiler. The boiler also has a flash tank. This allows a high pressure blowdown to enter the place where the steam can safely flash and be vented to a low pressure system. It might also be vented into the air while the rest of the pressure is released through a drain. There is also an automatic blowdown and continuous heat recovery system. This system transfers as much heat as is possible from the blowdown to the makeup water that flows to the boiler. Steam accessories include a main steam stop valve, a check valve and steam traps. These can be used on installations with multiple boilers. Combustion accessories feature systems for coal, gas and fuel oil and a soot blower. Other essential accessories include pressure gauges, feed pumps, a fusible plug and test pressure gauge attachments to be used by plant inspectors. There is also a nameplate and a registration plate to complete the steam power plant accessories. Previous PostWho invented the Telephone? Next PostWho invented the Acoustic Guitar?